Mrs. Watkins received a fellowship to Stanford University’s Executive Leadership Program in Urban Education, representing Richmond Public Schools in 2003. She heard the beautiful Belgian Building carillon on the California campus, not at that time knowing its connection to Virginia Union University. In October 2006, Dianne unveiled documentation that proved the Belgian Friendship’s use as a racially integrated Military Processing Center for more than 161,000 drafted and enlisted men for WWII. These revelations have created marketing strategies proposed to attract national and international recognition, students and new funding for the university. Later Mrs. Watkins entered Richmond Public Schools as a classroom teacher and administrator. She increased its Four Year Old Program from 21 classrooms to 42 classrooms, and reduced its class size from 22 to 18. As a member of the Board of the Virginia Association of Early Childhood Education, Dianne coordinated the “Week of the Young Child” for Virginia. She created Richmond’s first Early Childhood Institute, first Mentor Teacher Institute, first New Teacher Institute. She coordinated the “Teacher of the Year Program” and worked with area colleges to place student teachers. 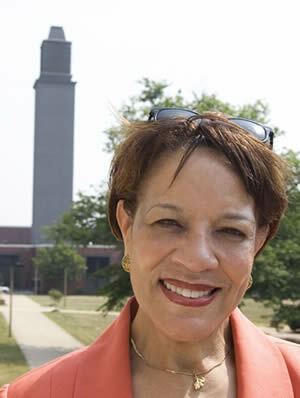 She enabled Richmond’s para-educators to meet new federal standards. In 1999, Mrs. Watkins’ accomplished full editing of the school division’s Administrative Procedures Manual. Dianne Watkins brought “The Hundred Languages of Children Exhibition” from the Schools of Reggio Emilia, Italy to Richmond, creating a partnership with Bell Atlantic, the Virginia Historical Society and Richmond Public Schools. The project attracted 3000 local and national visitors. Dianne is a member of many educational and civic organizations including: Kappa Delta Pi and Phi Delta Kappa Honor Societies in Education; and she has served on the Urban League Board, YWCA Board and the Children Museum of Richmond Board. She is a member of Ebenezer Baptist Church and Delta Sigma Theta Sorority. She also is a member of the Advisory Committee of Bon Secours Richmond Community Hospital, The James River Valley Chapter of the Links, Incorporated, and The Rotary Club of Richmond.